Valued at over $AUD600,000 and featuring a rare Australian pink diamonds, Stefano has created the ultimate accessories for Barbie in his signature Cubism style. The pink diamond was especially hand-picked for & inspired by Barbie and is a registered tendered stone from the Australian Argyle mine. The 1.00ct square emerald (cut) diamond, notable for its distinctive purplish pink hue, is a rare and unique collector’s item, and it is substantially more valuable than its white diamond equivalent. A style icon such as Barbie commands a rare, unique pink diamond such as this one. 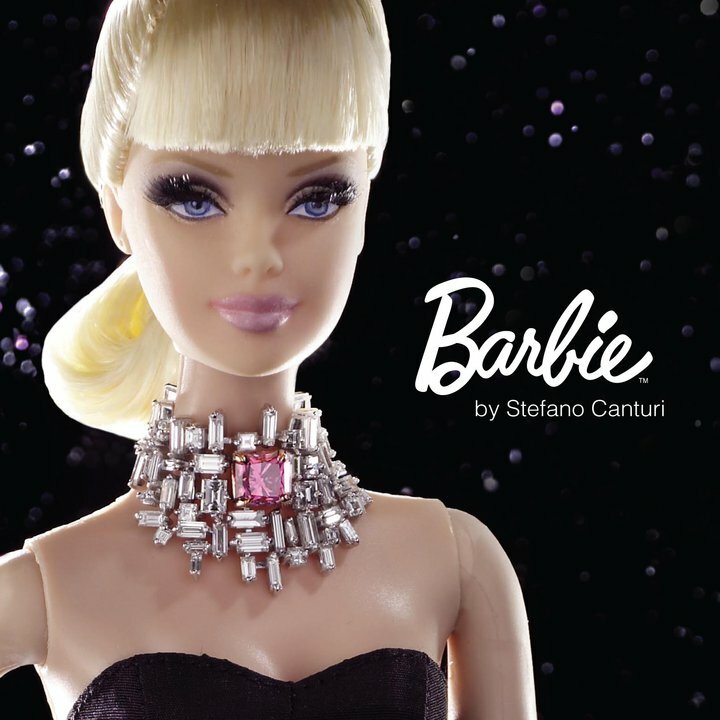 Having personally created history making jewels for Academy Award winning films and many of the worlds most influential women, its only natural that Canturi should apply his meticulous attention to detail to creating a piece that marries Barbie’s confidence and feminine style, and his timeless Cubism jewelry. “With the launch of the Barbie Basics collection here in Australia we wanted to give the launch a unique Australian perspective, so we engaged Stefano Canturi to design the ultimate accessories for Barbie, an Australian pink diamond jewelry suite. Stefano’s signature style fits perfectly with the Barbie brand… modern, yet timeless…" Kate Carroll, Brand Manager — Barbie, Mattel Australia.